Creating case categories in Microsoft Dynamics AX really saves time. 3.In the top section enter a case category. This field has a 10 character limit but you may include additional details in the description. 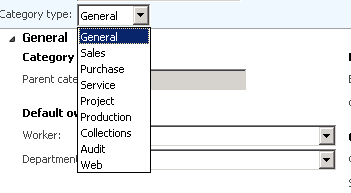 4.Select the Category type, you cannot change these. This is the 1st level in the hierarchy. 5.Use the Ctrl + S keys to Save the Category. Above is the information window that will come up when you save the category. Those fields are all that are required to create a case Category. 6.In the next section you can add additional functionality. 7.Workers are a drop down of all employees and are the person this case will go to 1st. 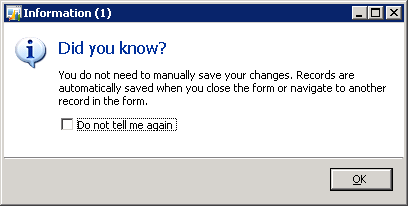 If left blank you would select this person at the time the case is entered. 8.Department is a financial dimension that would allocate any associated cost to that department. 9.Activities- These are also optional fields to be filled in. - Task: predefined listing that will create entry’s in the CRM. - Type: user defined listing of what for further reporting. - Purpose: is just a free text note field. 10.All of these fields are option and can be set when you create the case. The purpose to set them here is so they will default when a case is created. Click here to learn more about Microsoft Dynamics AX, contact us or visit our website at http://www.interdynbmi.com/.